Half an hour before the kids come home from school. An uncomfortable feeling sweeps across your body. You gingerly pull back the refrigerator door and peer inside; the ingredients stare blankly back at you with their inanimate eyes. Your stomach sinks --- your worst kitchen nightmare is here. Don't worry you are not alone, we've all experienced this situation before. Having to cook up a tasty and nutritious meal to fill up your family's tummies is no easy task, especially after an entire day of slogging at work. Ah, the quintessential dish that can be found in any Asian home. From salted fish fried rice to sambal fried rice, it is a dish that can take on a myriad of flavour profiles, depending on the ingredients thrown in it. What makes this dish so versatile and easy to cook is that you can use leftover rice and any surplus ingredients from yesterday's dinner, throw in some aromatics and seasoning, and stir-fry your way to a wholesome meal! When you think of quick meals, I'm pretty sure the first thing that comes to mind is instant noodles. But you probably already know that these convenient "packet meals" are as unhealthy as fast food and provide close to zero nutrition. Why cook these and sacrifice your health when you can make your own pasta with just as little time? All you need is a pot and a skillet to boil the pasta and make the sauce - in which you can add minced beef, seafood, chicken, bell peppers or anything you like to put together a sumptuous and filling meal! 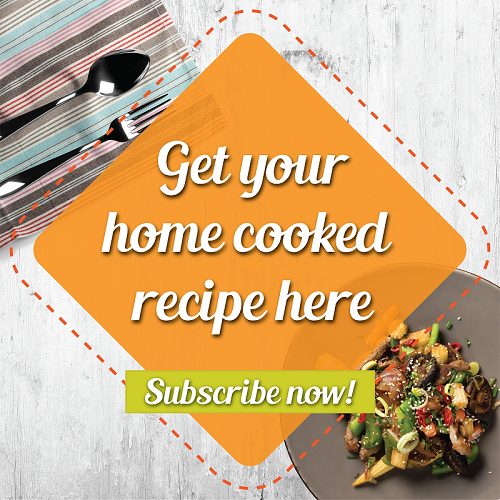 Fancy coming back home to a piping hot home-cooked meal? 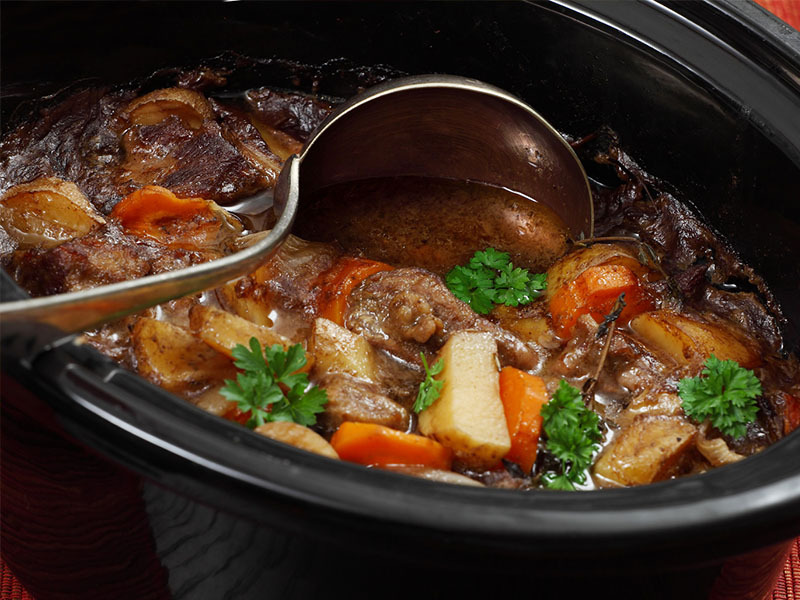 Now you can with the slow cooker - an invention that has saved housewives countless of hours in the kitchen. This jack of all trades can be used to cook pulled pork, mashed potatoes, beef stew, slow boiled soups, etc, etc - it's that versatile! You just have to chuck all the necessary ingredients in the crock pot, set the cooking time as required and get on with your busy day and when you're back, dinner would be served! What's more, you can save time on cleaning up, as you only have to wash the ceramic pot afterward (you can even exclude this step and save time if you use slow cooker liners). Sure or not? All of this prepped and cooked under 20 minutes?! Yes, we have tried this recipe and it works. When you are really strapped for time, microwave cooking can be a life saver. 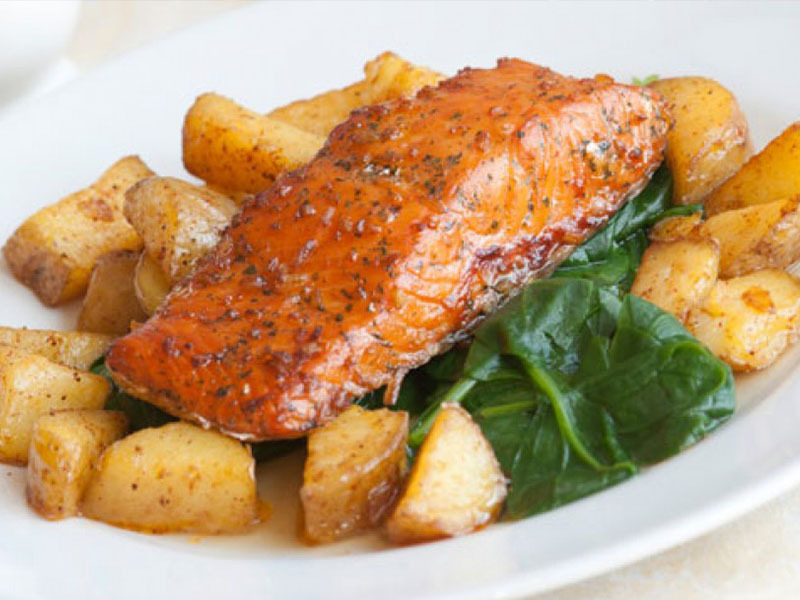 The humble potatoes are seasoned with simple spices and cooked in the microwave oven while the salmon can be pan-fried in a jiffy. 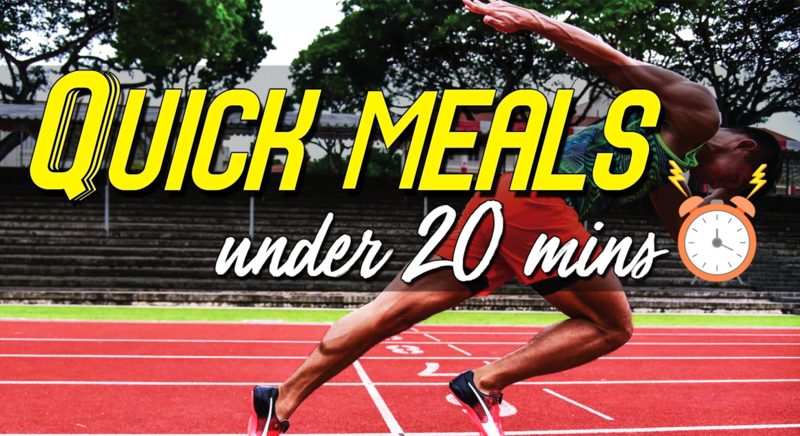 A tasty and nutritious western meal cooked under 20 minutes? Sign me up! Who can resist this mouth-watering, spicy and savoury soup? Paired together with springy noodles and fresh seafood - this dish is bound to set off a full-bodied flavour explosion in your mouth. 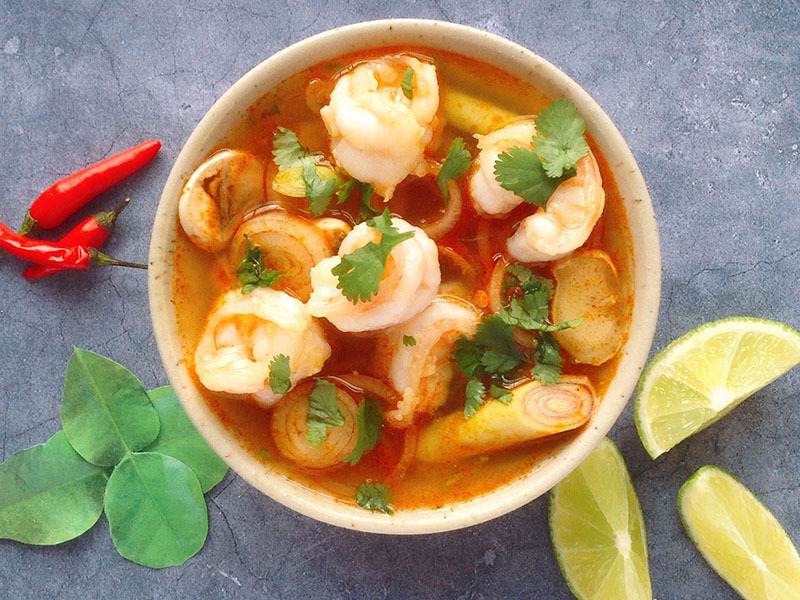 The galangal and lemongrass add a piquant flavour to the dish, while the Kaffir lime leaves and fresh lime juice invigorate the dish with a refreshing zesty kick. You just have to sequentially add in the aromatics, seafood, mushrooms, and noodles into the boiling soup, and it would be ready under 20 minutes! There you have it, 5 appetizing and effortless dishes that you can dish up under 20 minutes - you may even consider about refraining from takeaway food after this! Heat 1 tablespoon of the oil in a wok over high heat and cook the eggs first. Use the spatula to break the eggs into small pieces. Set aside. Reheat the wok with the remaining 2 tablespoons oil and stir-fry the garlic until aromatic. Add the chicken pieces and stir-fry until the chicken pieces turn opaque before adding the mixed vegetables. Stir to combine well. 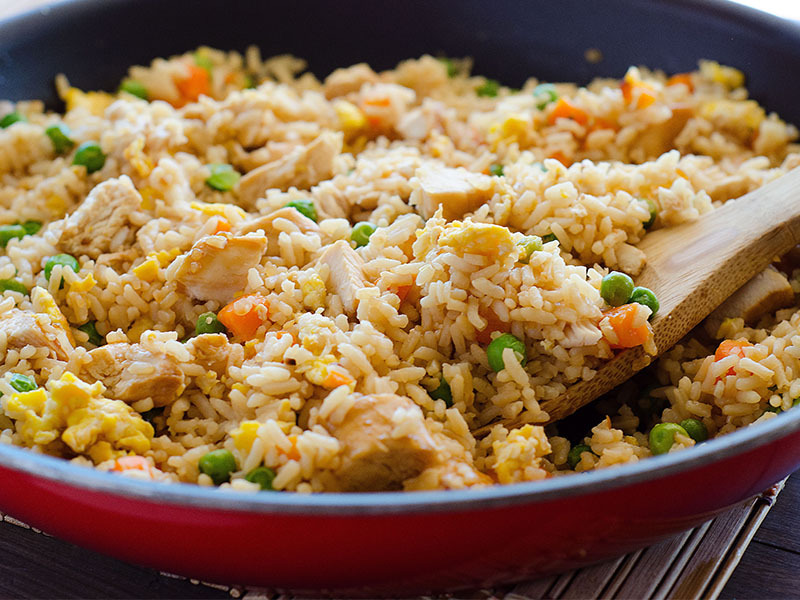 Add the rice into the wok and use the spatula to stir-fry continuously until the all the ingredients are well blended. Add the Seasonings into the wok, mix well with the chicken fried rice. Return the eggs into the wok and combine with the rice. Dish out and serve immediately. Meanwhile, process onion, celery, carrot, and garlic in a food processor until finely chopped. Heat oil in a large skillet over high. Add chopped vegetables, beef, and pork and cook, breaking up with a spatula, until meat is beginning to brown, about 3 minutes. Stir in tomato paste, oregano, 3/4 tsp. salt, and 1/2 teaspoon pepper; cook, stirring occasionally, until heated through, about 1 minute. Add wine and cook, stirring constantly, until reduced by half, about 1 minute more. Stir in tomato sauce, reduce heat to medium, and simmer until sauce is slightly thickened, about 4 minutes. Remove from heat, then stir in butter. 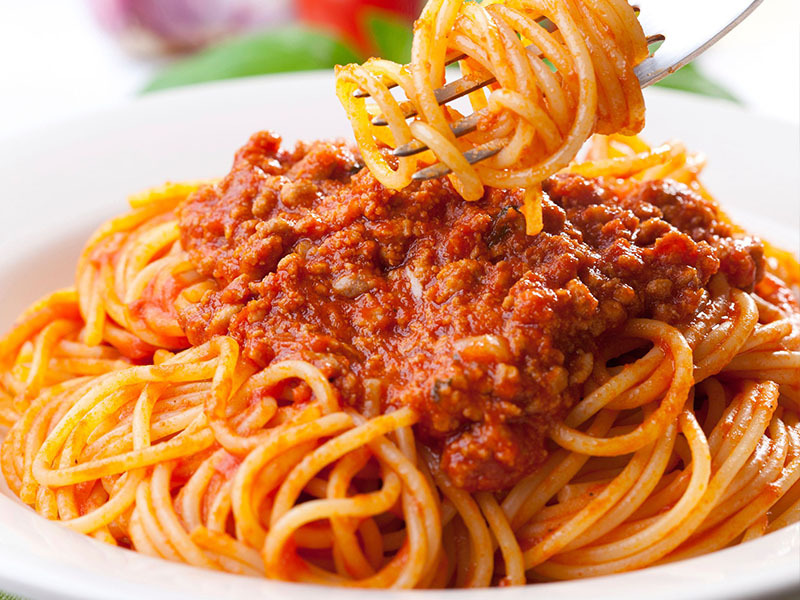 Toss meat sauce with pasta, top with Parmesan, and season with pepper. Let sauce cool, then chill in an airtight container for up to 3 days or freeze for up to 2 months. Add chicken to the bottom of your crockpot. Whisk the Sweet Chili Sesame Sauce ingredients together in a medium bowl. Pour over chicken. Cook on low for 5-7 hours or on high for 3-4 hours. Shred chicken and add 1 1/2 tablespoons cornstarch mixed with 1/4 cup water to the crockpot. Stir contents around. Cook on high for 20-30 minutes until sauce thickens. Taste and add Sriracha for spicier, brown sugar for sweeter if desired. Pull out the bones from the salmon fillet using your fingers or a tweezer. Season the fish with salt (rub), black pepper and herbs. Melt a knob of butter and spread it evenly on the griddles pan (or use olive oil). Grill the salmon fillet, skin side down first, for about 4 minutes each side (or till lightly browned) over medium fire. Cooking Note: You can also pan-fry the fish if you don’t have a grill pan. It will still taste good! Sprinkle herbs and spices on potatoes and toss to ensure even coating. Liberally coat potato pieces in butter.